Focus Logistics is a Canadian company specializing in full-service, client-specific solutions. Providing customers from business, commercial and industrial sectors with tailored logistics services, Focus Logistics is a company that consistently exceeds customer satisfaction. A customer-first philosophy incorporating a "hands-on" approach has made Focus Logistics a trusted partnet nationally to many companies and a worldwide provider of quality logistics services. By leveraging technology, people and equipment Focus Logistics operates a large global network providing services including warehousing, transportation, brokerage and specialty logistics. Available 24/7, Focus can cost effectively move any shipment including, LTL, FTL, small packages anywhere in the world by ground, air or ocean. Whatever the requirements, "We Make It Happen!" Focus Logistics is a privately owned company with headquarters in Moncton, New Brunswick. It offers warehousing and Logistics services throughout North America. Focus's staff represents over 35 years of experience in the Logistics and warehousing. Focus's commitment to excellence and personalized services has enabled the rapid growth of its offices and agents' locations. 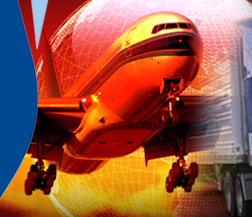 As "air, ocean and ground specialists," Focus Logistics is fully committed to customer satisfaction. "At Focus, the customer comes first" and operating by the trademark of "We Make It Happen" the staff surely take this commitment to heart on behalf of their many customers. Offering a 24/7 operation, 365 days a year, and offering a huge global network across North America and the world, there isn't a city or town the Focus has not or cannot offer services. Focus Logistics is the most cost-effective company of its kind to do business with, due to the large volume of business it does, thereby keeping costs down. At Focus Logistics, let us worry about your shipment... It's what we do.